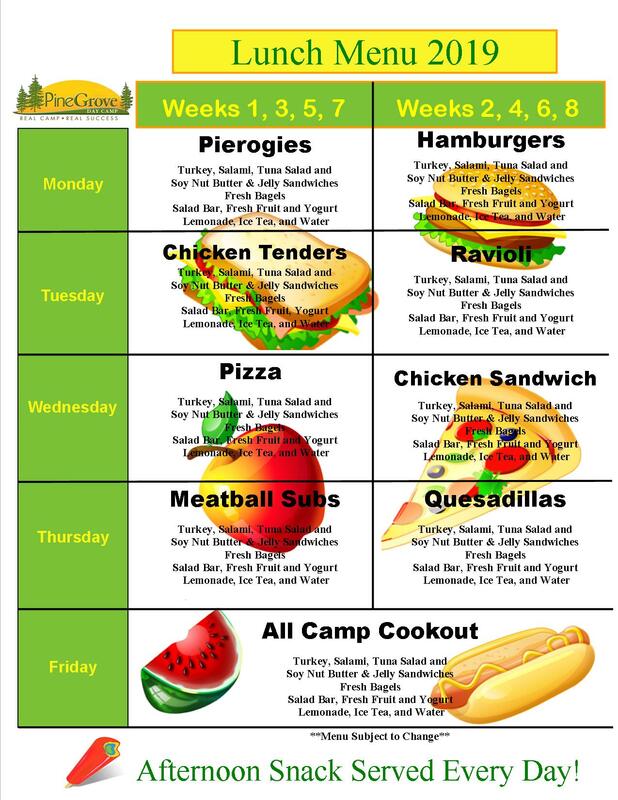 Pine Grove Day Camp offers a delicious Hot Lunch every day in our Fully Air-Conditioned Facility. We have a full commercial kitchen right on the premises and we prepare a Hot and Cold Lunch each day. 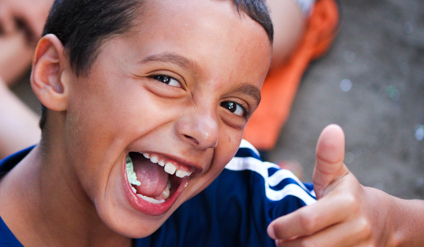 Our kitchen is run by professionals that work with children during the school year and understand the nutritional needs of your camper. We are happy to work with you on any dietary restrictions, just call the office and let us know how we can help. 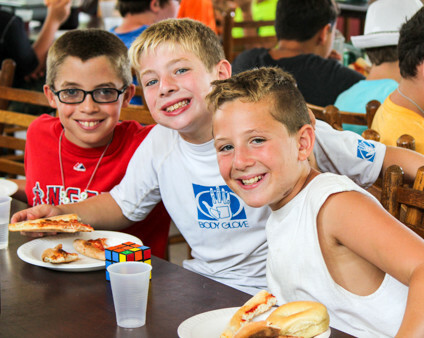 In order to accommodate all of our campers, we serve only Glatt Kosher Meat. Pine Grove is a “Nut-Free” facility. In addition to our Hot Lunch options, we also offer a Fresh Salad Bar, Bagel Bar, a variety of sandwiches and Fresh Fruit every day. Lunch is served Family Style and our Counselors and Specialists are there to assist campers and making sure they are getting enough to eat.